There’s no better way to make all dads feel loved this Father’s Day than by treating him to a relaxing weekend at The District Boracay, the newest luxury boutique resort in Boracay. Give him the weekend, and The District Boracay will take care of the treat! All dads who stay at The District Boracay during the Father’s Day weekend will be given a complimentary 1-hour welcome massage and up to 30% discount on our regular room rates. Conditions apply. 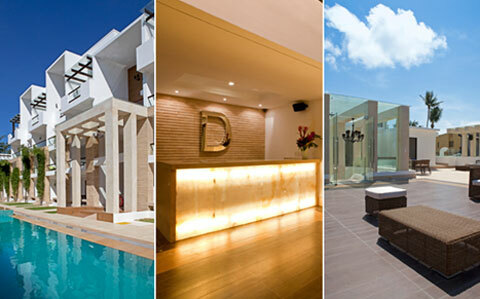 The District Boracay, which soft-opened on April 2012, offers quiet and affordable luxury amidst the vibrant and bustling Station 2, and promises the ultimate comfort and personalized service to all its guests. Modern and minimal in its lines and form, the resort’s signature white facade spells simple elegance. Its lobby which is naturally lit by sunlight through its floor to ceiling glass windows and tastefully lit by sophisticated chandeliers at night, offer convenient access to the beach outside and to a lap pool inside. For bookings and inquiries, call (63 2) 7061648 local 109 or email reservations@thedistrictboracay.com. For more information about the resort, please visit www.thedistrictboracay.com, follow us on Twitter (@DistrictBoracay) or like us on Facebook (facebook.com/TheDistrictBoracay). Comments or suggestions about "A Relaxing Treat for all Daddy on Father's Day" is important to us, you may share it by using the comment box below.